Sophie’s Closet just got heaps more glamorous. 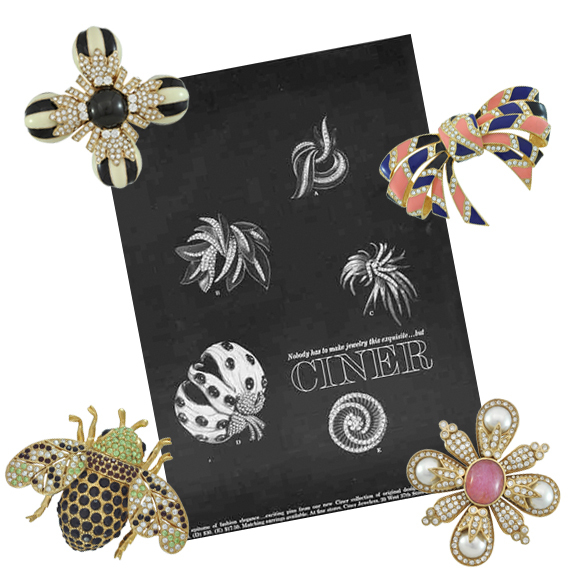 We are now the exclusive home to beautiful CINER jewels, considered by most collectors to be the golden era of costume jewellery. 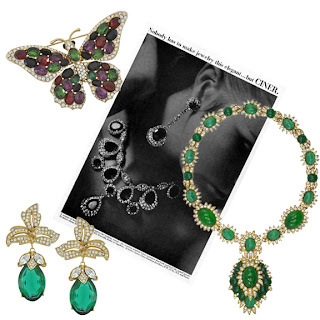 This legendary jewellery house was founded in 1892 in New York by Emanuel Ciner, a fine jewellery maker. CINER made the switch to costume jewellery in the 1930s in order to accommodate the Post-Depression era American customer. Staying true to their fine craftsmanship, CINER became one of the most established costume jewellery lines during that era, establishing many technical innovations that are still widely used today. Because their work can so easily be mistaken for fine jewels, CINER is sometimes referred to as being the Tiffany of costume jewellery. 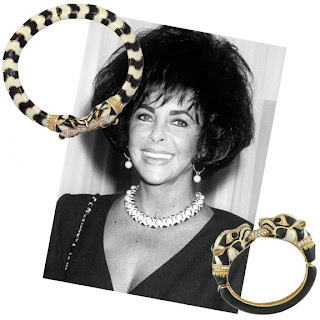 Their baubles made regular appearances in Vogue and on many Hollywood stars, including the queen of jewellery herself, Elizabeth Taylor. Sources say she once bought over $30,000 worth of CINER jewellery in one hour — that’s an astonishing number! 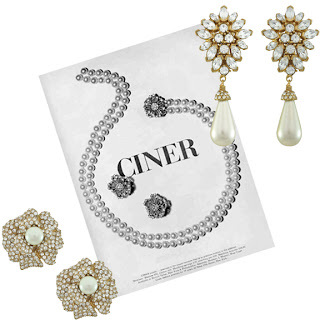 In fact, one of her many CINER sets sold for $15,600 at the now infamous Christie’s auction of her famous jewels. Not only is CINER special for their impeccable craftsmanship and sensational design, but it is also still a tightly-knit family business. Today, after over a century in business, CINER is run by Pat Hill, the granddaughter of Emanuel Ciner. Sophie met with Pat herself in New York, and hand-selected all the gorgeous jewels for our store. 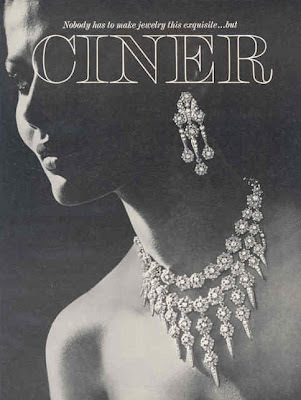 Enchanting, elegant, and with a legacy that spans over a century, CINER is the ultimate investment for the serious jewellery lover.